Bulky shoes can be the difference between carrying on and checking bags. Save room with these squishable, crumpable kicks. These lightweight ballet flats have a slip-resistant sole and comfy foam cushioning—plus they fold up neatly into a shoe bag. 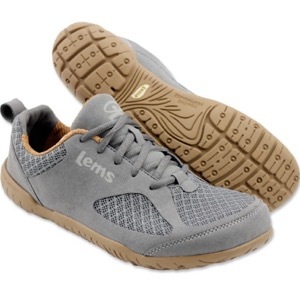 Lems Shoes' Primal 2 style is a sturdy, sporty-looking sneaker made from a super-flexible vegan material that rolls, folds, and weighs in at just 6.9 ounces. Not only do Native shoes stand up to adventures, but they’re also squish-proof when packed, waterproof, and can easily be hand-washed. With a passion for discovery, our team of travel experts is always on the lookout for ways to make globe-hopping with kids more manageable (and memorable! ).